Official synopsis: "Clary Fray just wishes that her life would go back to normal. But what's normal when you're a demon-slaying Shadowhunter, your mother is in a magically induced coma, and you can suddenly see Downworlders like werewolves, vampires, and faeries? If Clary left the world of the Shadowhunters behind, it would mean more time with her best friend, Simon, who's becoming more than a friend. But the Shadowhunting world isn't ready to let her go — especially her handsome, infuriating, newfound brother, Jace. And Clary's only chance to help her mother is to track down rogue Shadowhunter Valentine, who is probably insane, certainly evil — and also her father. To complicate matters, someone in New York City is murdering Downworlder children. Is Valentine behind the killings — and if he is, what is he trying to do? When the second of the Mortal Instruments, the Soul-Sword, is stolen, the terrifying Inquisitor arrives to investigate and zooms right in on Jace. How can Clary stop Valentine if Jace is willing to betray everything he believes in to help their father? 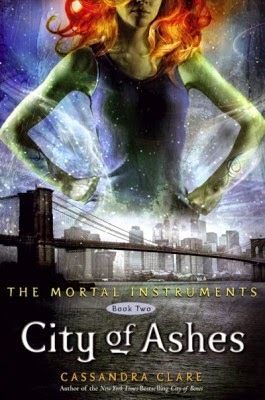 In this breathtaking sequel to City of Bones, Cassandra Clare lures her readers back into the dark grip of New York City's Downworld, where love is never safe and power becomes the deadliest temptation." While I did find City of Ashes a little slow to start off with, once it got going I was pumped and had the pages turning so fast they were almost a blur. The thing about Clare's writing is that even when it's a particularly slow bit, it's still so enticing and it just captures you and pulls you in. The characters really grow in this book and begin to shine even more than they did in City of Bones. I do have to say though, that I am very very VERY undecided on Clary. Sometimes I like her and think she's a great characters, but then there are other moments where I just cannot stand her. I don't know what it is - I did like the new dynamic between her and Simon but at times it felt a little forced. However, that said the main plot of the book was fantastic and I am now gagging for book three! I really am so excited to see how this originally planned trilogy will continue and then how it picks up again in City of Fallen Angels. Luckily i have it on my shelf! Thank the heavens! See you here in September for my review of City of Glass! I cannot wait! Official synopsis: "Complete your Divergent library with Four! 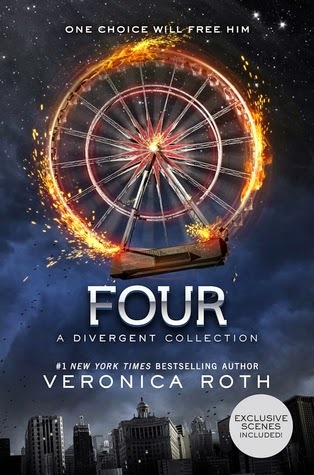 Fans of the Divergent series by #1 New York Times bestselling author Veronica Roth will be thrilled by Four: A Divergent Collection, a companion volume that includes four pre-Divergent stories plus three additional scenes from Divergent, all told from Tobias's point of view. Readers first encountered Tobias as "Four" in Divergent. His voice is an integral part of Allegiant. Readers will find more of this charismatic character's backstory told from his own perspective in Four: A Divergent Collection. When read together, these long narrative pieces illuminate the defining moments in Tobias's life. The first three pieces in this volume—"The Transfer," "The Initiate," and "The Son"—follow Tobias's transfer from Abnegation to Dauntless, his Dauntless initiation, and the first clues that a foul plan is brewing in the leadership of two factions. The fourth story, "The Traitor," runs parallel with the events of Divergent, giving readers a glimpse into the decisions of loyalty—and love—that Tobias makes in the weeks after he meets Tris Prior." This year has been a very exciting year for fans of Veronica Roth and her epic trilogy. Not only did we get to finally see the world of Divergent come to life in March/April (dependant on where you live in the world, seeing as the movie industry seem to love delaying films here in the UK...) with the release of the first movie in what is promising to be a visually beautiful and epic series of films but we also get to go deeper into the mind of one of the best characters in the series. Four! When Veronica first announced that she was writing four short stories about, well... FOUR, I was so pumped! I loved the trilogy so so much that it didn't matter what it was Veronica was writing about, so long as it went back into that world be it before Four meets Tris or after or whatever it was, I didn't care, I would be happy. I just wanted more, more, more. I genuinely cannot get enough of the world that Veronica created. And as well as that I always liked Four, in fact I downright loved him, especially the more we got see of him, so to get inside his head, even more than we did in the chapters he narrated in Allegiant was an exciting prospect and I couldn't want to get started. Fast forward to July and thanks to Barnes and Nobles in America I now have a signed Veronica Roth book... Yes! SIGNED! I squealed with excitement and danced like a nutjob but I loved it and I love my copy! I wanted to go and meet her when she came over here last November to promote Allegiant but I couldn't make it thanks to work, and then when I went to the Divergent premiere earlier this year I just couldn't get close enough which was a shame, so I finally got a signed copy which makes me happy! We start things off with last years The Transfer, which was initially published just before the final instalment in the trilogy. It follows Four when he was still Tobias, living in Abnegation with his horrid father, Marcus. He's scared and alone and knows he must get away. When I got my copy, I was in two minds as to whether I should re-read it or not, seeing as I had read it when it was released on its own and I decided against it so I could get on with the other three new stories. The Initiate was the first new look into Tobias' head as goes through Dauntless initiation. Parts of it felt a bit like a sense of deja vu, as some sections are pretty similar to the initiation process Tris went through in Divergent. However, with Four's voice, this little niggle soon disappeared and I found myself really being sucked in to Tobias' head. I also really like that with this novella we get to see his initial reactions to his fear landscape and the moment he earns the name he had when we first met him. Something I also loved was seeing Eric as the underdog. Throughout Divergent it seems like Eric has some kind of power complex and is wary of Four and here we see why, because Four was so much better than him in initiation. Now, The Son really trounced all my expectations. I had thought it would revolve around Marcus. Didn't we all? But no, it's different and I really liked that it gives us a real insight into what is to come in the main trilogy as Four learns that his mother isn't actually dead and that she is already trying to recruit him into her Factionless folds. And finally The Traitor brings us up to speed, overlapping with key scenes from the first book of the trilogy. It was great getting Four's initial thoughts about Tris, what he thought she was like, how much he liked her. It was just fun to see and it also answers an age old question that I know has plagued me for so long.... How did some of the Abnegation know the Dauntless were going to attack them one day? The answer lies within The Traitor. Before the book is over however, there are three fan favourite scenes from the first book written from Four's point of view and I loved that little insight too. Things like that are just so fun to read, aren't they?!?! Overall, Four is a great addition. Casual readers might not be that fussed about it, and I've seen a lot of reviews where people have said that they feel these short stories add nothing to the story, that they are pointless and just an excuse for HarperCollins and Veronica to make more money. But I couldn't disagree more. For big fans of the series, like myself, this little collection gives an insight into one of our favourite characters. It shows him grow from a scared boy, terrified of his father and of the violence he has faced, into a strong, confident, dark and brooding young man that sweeps Tris Prior off her feet and helps save the city. It is a definite read for the people who are obsessed with everything Divergent. As ever, Roth's writing is fantastic. Engrossing and to the point, you're driven forward through page after page just wanting to see what Four will say or think next. I for one loved this collection and quite honestly would read ANYTHING written in this world. I have fallen in love with the world of Divergent and I cannot believe this is the last time we get to venture into it. There is so much potential out there for the world. So many ways that Roth can explore it. Some would say it would be ridiculous, a blatant cash machine... But look at the likes of Cassandra Clare who pretty much only writes within the world of the Shadowhunters... It's worked for her and continues to do so. 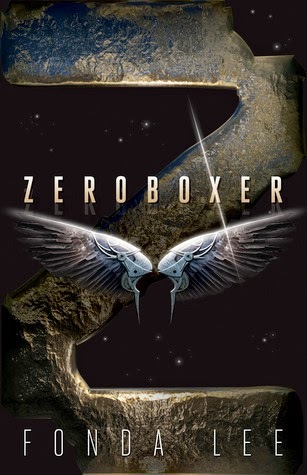 Imagine a collection of short stories about different divergents over the years? Or something to do with Edith Prior? There is so much more that could be done and I for would would love to get just another glimpse of what lies within the fence. PLEASE NOTE THAT THIS IS THE THIRD BOOK IN THE GODS AND WARRIORS SERIES, SO IF YOU HAVEN'T READ THE FIRST TWO BOOKS, THE OUTSIDERS AND THE BURNING SHADOW, THEN PLEASE BEWARE THE SPOILERS!!! THANK YOU! Official synopsis: "Winter has been colder than anyone can remember, and there is no spring. The eruption of Thalakrea has shrouded the sky in ash, and blotted out the Sun. Fate brings Hylas to the island of Keftiu. He is desperate to find his friends: Pirra, the daughter of the High Priestess, and Havoc the lion cub. But Keftiu has suffered more than anywhere from the fury of the gods, and the once-prosperous island has been ravaged by cold, famine and plague. As Hylas sets off alone to seek his friends, he is tormented by the fear that Pirra and Havoc may not have survived the winter..."
But back to present day where The Eye of Falcon, the third book in the stunning Gods and Warriors series has just been published... Oh, be still my beating heart. She's done it again! This series is shaping up to be something pretty damn special and this instalment only solidifies that. After the explosive (literally) conclusion of the last book, The Burning Shadow, Hylas is alone on Keftiu. The world has changed and not for the better. The sun has gone. The land is dying and so are the people and this winter has been the worst known for years. And the gods are angry. The gods have left Keftiu, a forsaken land, but Hylas must seek Pirra, he needs to make amends. And he needs to find the dagger of Koronos soon or else no one will ever be safe. As per the usual, Michelle's writing is so fluid and elegant, so silky. Her prose almost feel like a warm hug, enveloping you, dragging you deeper down into the story. It's so hard to remove your eyes from the page, in fact sometimes it's nigh on impossible! The characters are so well fleshed out and no one seems to be there just for the sake of it, they all have their own purpose. Including Echo, the falcon. That's one thing I love about Michelle's books. The animal element she incorporates. It's so fresh and so well written that you almost feel as if you are in the animals head, experiencing it's thoughts. She doesn't make them feel human, they feel raw, wild, animalistic. 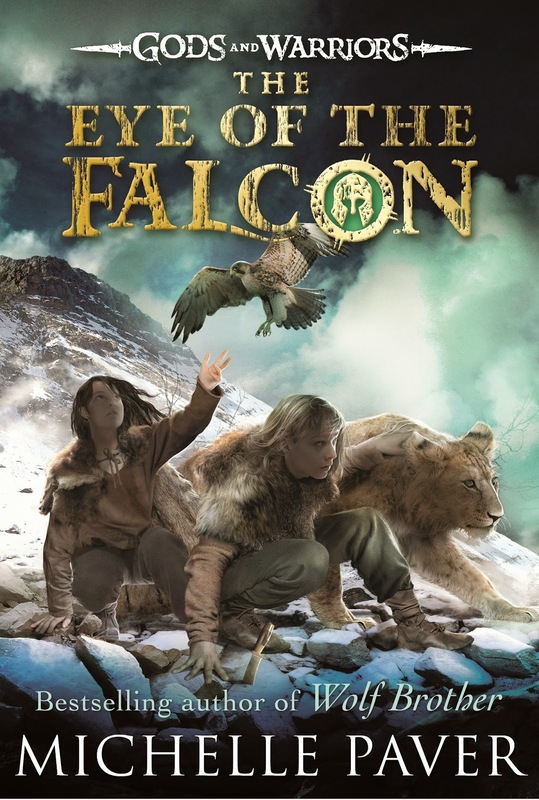 It's so captivating, and now, seeing parts of the story through both the falcon's eyes and those of Havoc, the lion cub, adds an extra dimension to the story. This is something Michelle did so well in the Chronicles, with Wolf, the wolf... and with Spirit the dolphin in the first Gods and Warriors book. It's just so cool! The stakes are getting higher and this makes for a very exciting read. There are only two more books to come in this series and I cannot wait to see how it ends. Next years instalment, The Crocodile Tomb, cannot come quick enough! Next time we're off to Egypt and given Michelle's talent for bring ancient worlds to life I cannot wait to see her take on ancient Egyptian life. In fact I am so excited it's unreal! The only gripe I had, albeit a minor one, is the death of a major character that happened in between The Burning Shadow and The Eye of the Falcon. It felt a bit brushed over, and I would of liked to see something quite dramatic happen to the character, but other than that I couldn't love this book more if I tried! One major gripe though, and this isn't towards Michelle and the content of the book... It's to the publisher! I've long vented my fury about cover changes, as I did when they changed the style of the covers in between book one and two of this series... I was livid... But this is worse... They've changed the format! The format! Books one and two were published in beautiful hardbacks with stunning coloured edges, then for some reason with The Eye of the Falcon, they've gone straight to paperback... Now, this is okay because I do have the first two books in paperback as well, and all three covers match... But now I have two obsolete copies, beautiful hardbacks that alluded to a lovely collection and now that has been taken away from me. To say I was gutted when I found out the book wasn't being published in hardback was an understatement. My OCD doesn't allow for format changes and it drove me insane! There is a hardback being released in America next year, but it's a different size so it isn't gone to match the copies I've got so that upsets me a bit! Like I say, it's the only real problem I have about this book... the format change! I just don't get it... I really don't! But to end on a positive note, because a book of this calibre is nothing but epic, please please please, I beg you, check out this series and check out Michelle's work in general. It's so rich and immersive, I guarantee you will fall in love just as much I have!